There are hundreds of web hosting services on the market, here we are finalized best web hosting providers in 2019. This post comes with not only cost-effective host services but also we consider what the features available are, customer support and users review about their current hosting company. Hosting companies offer service from $1 to thousands of dollars. It depends on your website needs. If you are looking for the web hosting to build a simple blog, you can select shared hosting that is best for you. However, You want to create an eCommerce site or high volume traffic magazine and news website, you should consider hosting with some additional features. Here is a quick look at best Web Hosting services in 2019. 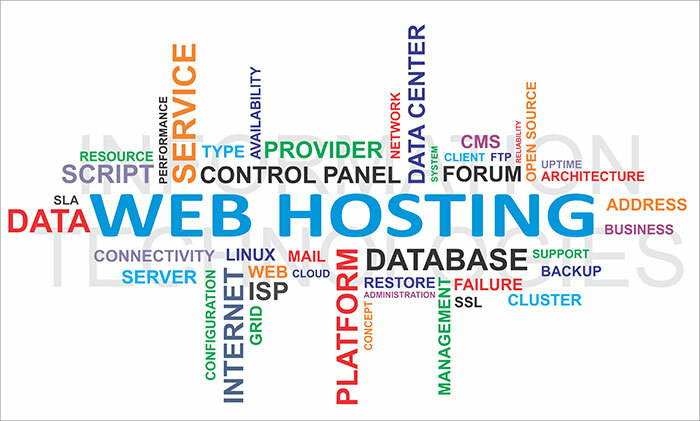 I hope you will find a suitable best web hosting provider for your website from this list. If your Blog or Website article got popular on Facebook or Reddit and then You get a high amount of traffic, you want to your server alive. I highly recommend Media Temple Grid Web Hosting for you. It starts at a $20 per month, but it’s worth for your website. Media Temple’s offerings with unlimited monthly data transfers, unlimited storage, and unlimited email address. It offers a range of hosting options, including shared, virtual private server (VPS), dedicated, and managed WordPress. Web Hosting Hub is the best-shared WordPress and web hosting provider for small businesses. Easy control panel, website builder, and great customer support. Each plan comes with free website-building software and unlimited disk space, monthly data transfers, and email accounts. DreamHost is offering the best web hosting plans with unlimited disk storage, domains, and email accounts. it’s great for those who have meagre hosting needs. Lots of security features. Extensive domain management tools. Generous money-back guarantee. Good VPS offering. Unlimited data transfers per month. Cloud storage plans. iPage is the best cheapest hosting provider on the market. The iPage Web hosting offers shared Web hosting package pricing starting at $1.99 per month that includes unlimited disk space, free domains, network bandwidth, and databases for everyone. iPage is a Linux- and Windows-based Web hosting. It includes useful site-building software Weebly and other features like Unlimited bandwidth, disk space, and email accounts, Robust third-party application support, and Generous money-back guarantee. iPage also offers Dedicated and VPS hosting service with the lowest price. Bluehost offers a wide range of Web hosting options makes it easy to create attractive websites for your small business. Features include Useful add-ons include Google Apps, SiteLock, backup tools. Offers one-step integration with CloudFlare. Easy-to-use interface. Weebly site-building software. HostGator plan is starting with $3.48 Shared balances attractive prices and great features, plenty of tools to more-advanced Webmasters. HostGator has several options for building a website. HostGator offers both 24/7 telephone support and an online Web chat—we tested both help methods. This is one way in which HostGator was better than others, but it can do so much better. If you need to quickly create personal or professional websites, you should check out InMotion Hosting at $3.49. It’s the best choice for managed WordPress hosting. Some of the great features we listed why InMotion is best: Top-notch customer support, Many free web-building tools, Easy to import WordPress blogs, All plans offer unlimited email. 90-day money-back guarantee. GoDaddy’s Economy basic shared hosting package includes a free domain name (in the form of yoursite.com) that you can keep as long as you use GoDaddy, 100GB of storage, the ability to host one website, unlimited monthly data transfers, and a skimpy 100 email addresses. Siteground is the best web hosting company that offer a range of hosting solution. If you are new webmasters, you have not enough hosting knowledge Siteground’s tutorials make Web host extremely friendly. It is best for small businesses. Siteground has excellent customer service, technical features, solid security, Automatic backups, and alsoUnlimited bandwidth, disk space and email accounts. It integrates with CloudFlare for improved performance and security. Hosting price starting with 3.95 USD. HostMonster offers shared, dedicated, and VPS hosting options for constructing web pages. HostMonster’s most basic package offers a free URL, unlimited monthly data transfers, Secure Shell (SSH) Access, Free Drag and Drop Site Builder, and knowledgeable customer service representatives. Just Host provides shared server, VPS Hosting and reseller hosting. It has excellent control panel options make it quick and easy to publish a website. $100 Google Advertising Offer, Control Panel – Powered by cPanel, Instant Setup! Arvixe gives you the option of hosting your website on a Linux- or Windows-based server. Arvixe’s PersonalClass shared Web package plan includes a free domain name you can keep as long as you use Arvixe, a free domain transfer, unlimited monthly data transfers, unlimited storage, unlimited email, and the ability to host six domains. GreenGeeks is providing a range of web hosting solutions for its customers, including shared hosting. It offers low prices for shared hosting and often there are discounts for new customers. Unlimited options. Readily available support. Website building and management tools. A Small Orange offers a variety of web hosting solutions such as shared hosting, Reseller, Business, Cloud VPS, and Clementine Managed Hosting. WebHostingPad is a good choice for bloggers and small business. Are you are looking for a simple, bare-bones web hosting package. Affordable web hosting from $1.99. 24/7 U.S based tech support and customer satisfaction guaranteed.